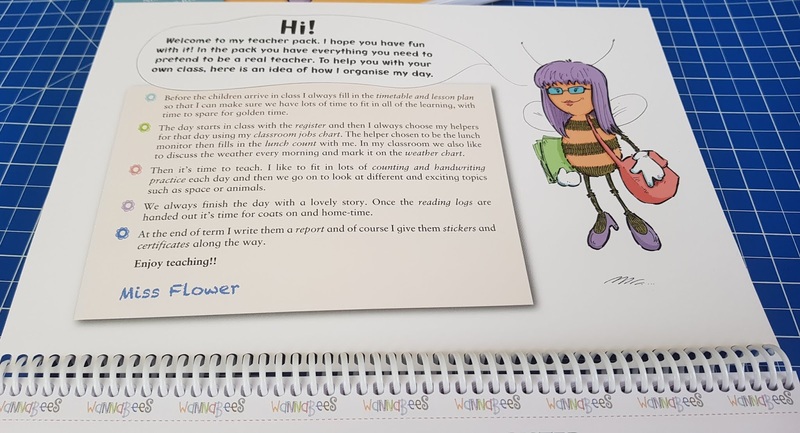 Wannabees spotted that pretend play was missing a special something that could really encourage children to practise more skills and learn to read and write while they play. They created a range of 'I Want To Be...' packs full of printed sheets which support role play for children aged around 5-11. 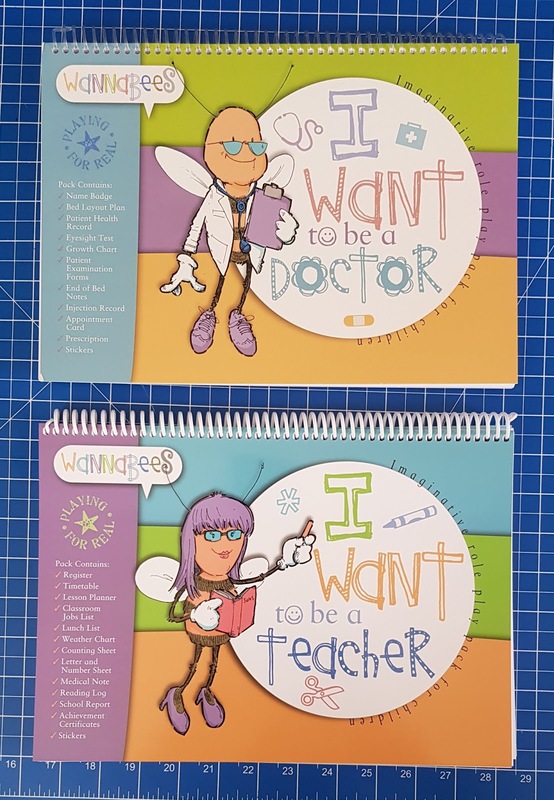 Currently available in ‘I Want to be a Teacher’, ‘I Want to be a Doctor’ and ‘I Want to be a Café Owner’, each pack is bundled up into a really handy ring binder with around 45 mainly tear-out pages. The pages include forms, stickers and certificates, appointment cards, registers and even eye tests or weather charts, allowing children to act out all of those fun tasks that somehow aren't so fun when you are an adult. We've been sent two of the packs for my 8 and 9 year old boys to play with. They chose 'I Want to be a Teacher’ and ‘I Want to be a Doctor’. One of them actually does want to be a Doctor (or an entomologist), so he was particularly excited. Children usually have dress up and play sets which contain some of the equipment they need, but it's the consumables which run out or aren't included and take forever to draw for small hands. 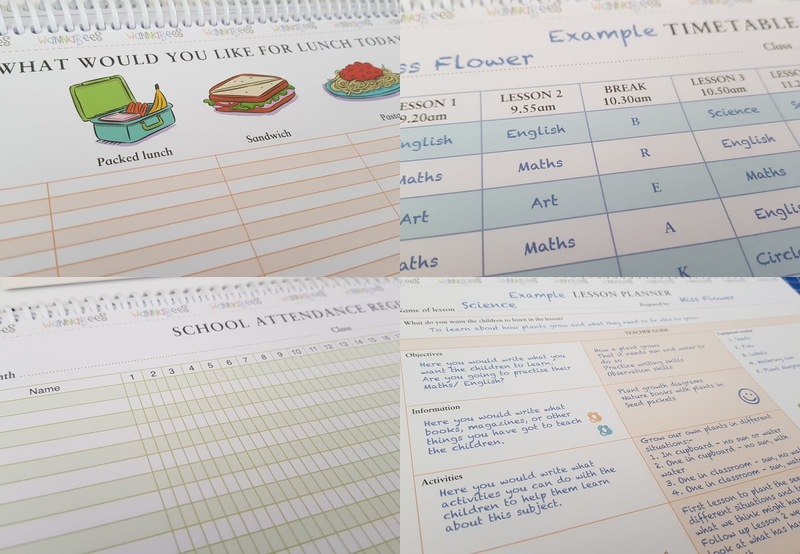 Inside the I Want to be a Teacher pack are everyday items including registers and lunch lists, lesson planners, reports and practise sheets for letters and numbers, as well as certificates and stickers and lots more. 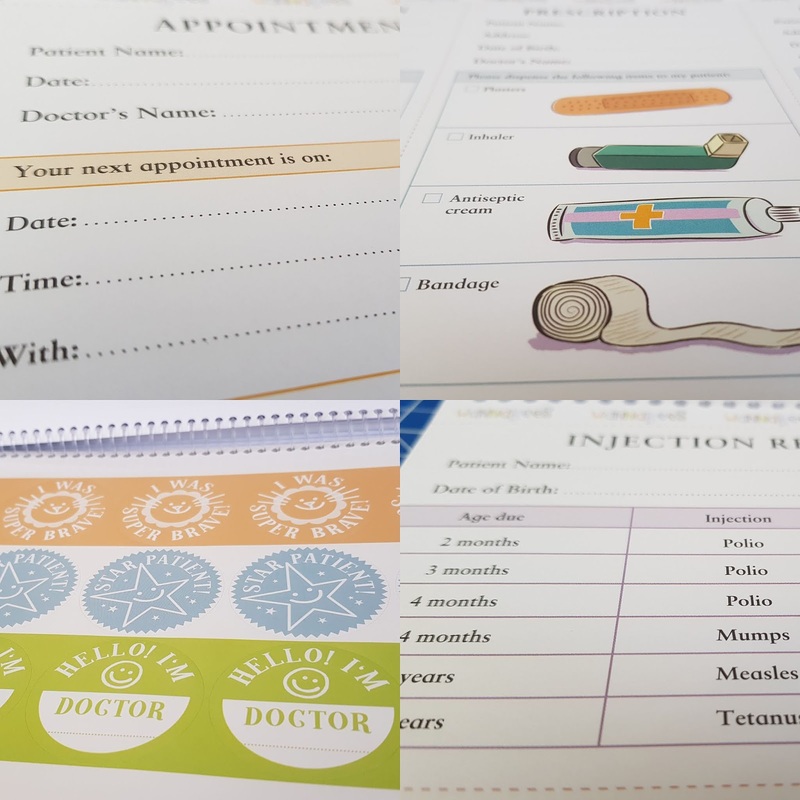 The I Want to be a Doctor pack contains, amongst other things, name badges, ward plans, health records, growth charts, bed notes and prescriptions, and of course stickers for your brave patients. There really are just about any of the possible notes and forms you can think of, with large spaces for writing and bright illustrations. 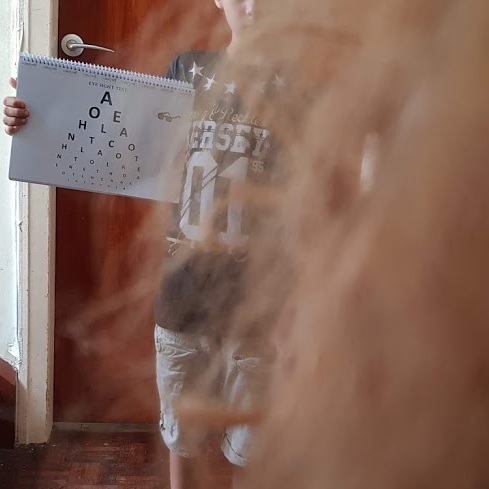 I'm not certain that we need as many eye tests as health records though? Possibly this would be better in a single cardboard sheet? The illustrations mean that even children who are newer to reading can join in, yet on the other hand some of the sheets contain quite complicated pages that will offer more to older children. The age range suitability is genuinely very broad. 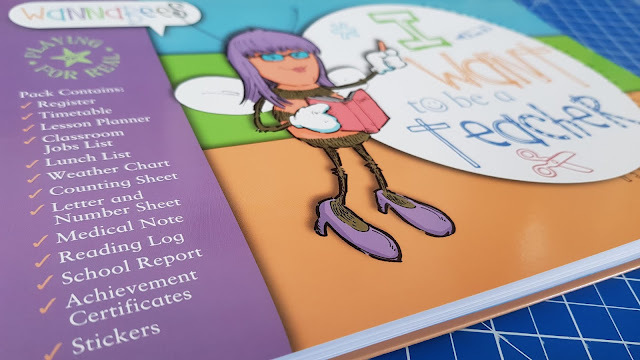 We don't have the 'I Want to be a Café Owner’pack, but included in that set is everything you could possibly need to host your own cafe at home, including recipe cards, table numbers, signs, menus, an order pad and shopping lists. This isn't just 'playing'. 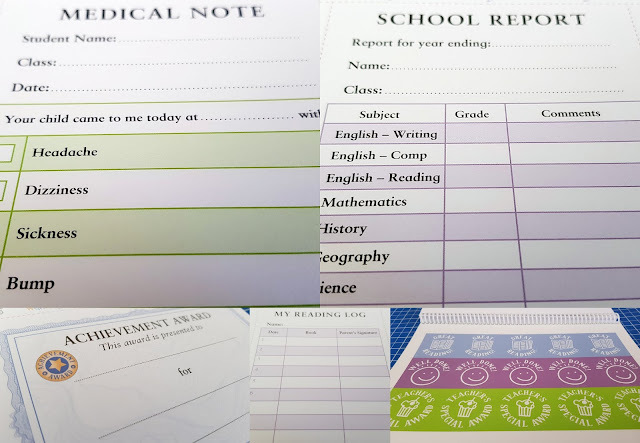 A lot of the skills your child is practising will come in very handy later on.. The Wannabees range is perfect for children as they learn how to be an adult and contain the little touches which change play from everyday to something a bit special. They are an excellent way to encourage any child to practise reading and writing. Wannabees Play Packs are available to buy now, rrp £14.99 each. 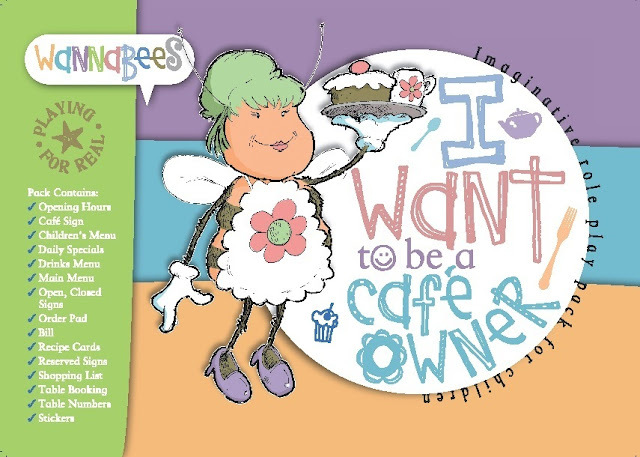 Find out more about the packs and buy online on the Wannabees website. Wannabees have kindly offered one of my readers a pair of Wannabees Play Packs for themselves. The winner will receive ‘I Want to be a Teacher’and ‘I Want to be a Café Owner’. The giveaway is open to UK entrants only and will end at midnight Sunday 12th August. Full terms and conditions are at the bottom of the Gleam form. I was given my packs in order to review. Can’t decide who’d love this more, our daughter or our niece! I always wanted to be a teacher, after living with 3 other teachers and watching their stress levels in their job, I’m glad I didn’t take that road! I wanted to be a nurse when I was growing up but decided it wasn't actually such a good idea. I always wanted to be a travel agent but I decided against that when I got older! Great books. I was a big thinker and wanted to be prime minister. As I grew up, though, I realised that I wasn't clever enough or tough enough. Luckily I found another satisfying career. I wanted to be either a zoologist or a fishmonger! not achieved ! I always wanted to be a vet but then I realised I'm too attached to animals I would struggle to emotionally detach myself enough to be good at the role! I wanted to be a singer but instead I am a science teacher....probably cos I can't sing lol ! I enjoyed messing with anything mechanical and became a mechanic. I still love actually fixing things. Growing up I was interested in science, found the subject fascinating. Wanted to work somewhere where I could be of benefit to others. Health Care seemed appropriate, and worked in NHS for many years. i always wanted to be a mechanic for some reason! now i work in a legal office so completely different but ah well..! at least im in a nice comfy office and not stuck under a dirty car! When i was a child i wanted to be a popstar which i can confirm didn't happen! I wanted to be a teacher and now I work in a preschool so it's quite close! What did you want to be when you were growing up? Did you achieve your goal, or did you decide it wasn't actually such a good idea? l wanted to be a teacher and yes l did become one. When I was younger I wanted to be in the RAF doing logistics. I applied but got turned away because I had braces. I had my braces off when I was with my now husband so didn't even think about it. I wanted to be a landscape gardener but when i applied for jobs in the early 80's i was told they would only employ men. Charlie Dimmock changed all that with the programme Ground Force, but i'm afraid i gave up my dream. I wanted to be a teacher but changed my mind! I wanted to be a journalist! I wanted to be a vet from as long as I could remember but when I was 16 my mother made me leave school and get a job so I never got to do my A levels, then hubby and children came along so that was the end of that! I always wanted to be a funeral director. Unfortunately it's a lot harder to get into and not many people want to support you into this job my school wefe very discouraging. I wanted to be a clinical psychologist, but life never turns out the way you want - I had my son at 19 and though I continued study, I ended up an administrator instead - a job I loved! I didn't know what I wanted to be but often played teachers or horse riding, neither I progressed with later on in life. I wanted to be a teacher. I'm currently working as an educator at a nursery, so not too far off. I wanted to be a teacher growing up. I do currently work in a School but as a secretary. I still get all of the holidays off which is a huge perk! I wanted to be a stunt man lol I didnt know there was such a thing as stunt women haha the skills come in handy now when I run away from spiders! 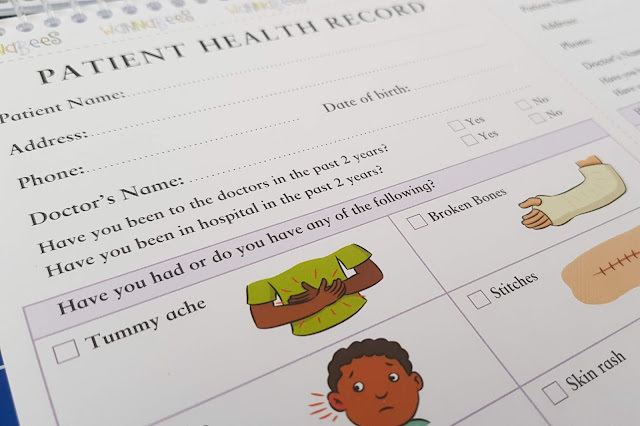 These packs are such a fantastic idea, my son has autism and I think these would be great to help him understand other peoples roles a bit better such a great giveaway! I wanted to be a vet but petrified of snakes and not clever enough. I wanted to be a hairdresser, I hate having my own hair done and my girls have long hair ad I hate styling it, so glad I changed my mind. I wanted to be a jockey or work with horses. Erm, not good enough to be a jockey and my feet couldn't cope with working with horses unfortunately. NO WAY was I going to work in an office. 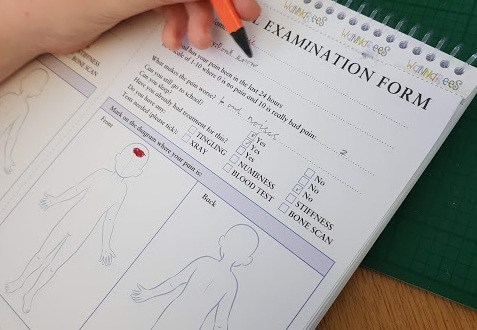 Now passed my typing exams and have worked in an office doing reception and admin for the last 2 years after ill-health prevented me carrying on as a forecourt cashier, and I absolutely love it. Although my work colleagues make it a pleasure to work there. I wanted to be a zoo keeper but it turns out I'm not a big animal lover!!! I wanted to be a fighter pilot. I became a teacher which I guess is similar in lots of ways! I wanted to be a mermaid, I'm still convinced this might be a viable option but haven't achieved it yet.